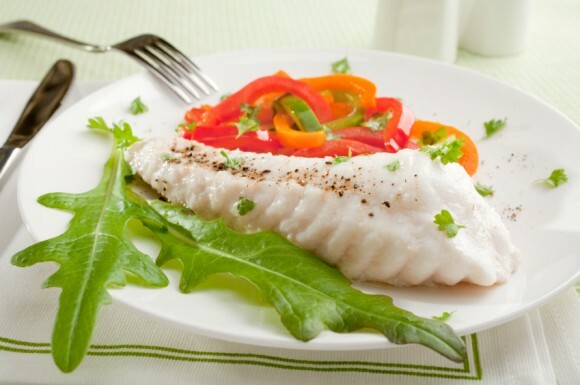 Fish is recognised as one of the healthiest forms of food. Yet six out of ten people admit to being nervous about cooking it, preferring to offer meat dishes at their dinner parties. Now help is at hand, on our famous fish master class. By the completion of the course you will understand the difference between white and oily fish. You will be able to fillet a flat and round fish. Scale fish, skin and fillet fish. Learn how to marinade, make fish stock, shallow fry, shallow poach fish and make sauces to accompany. Scaling, filleting and marinating a whole trout. Your course will begin at 9.30am through to 3.30pm. All your ingredients, recipes and lunch are provided.